A delegation from Al Falah University headed by Prof. Abdelhafid Belarbi, President, visited the headquarters of Dubai Cares in Dubai to discuss cooperation and to enhance partnership between the two parties in the fields of education, community engagement and scientific research. H.E. 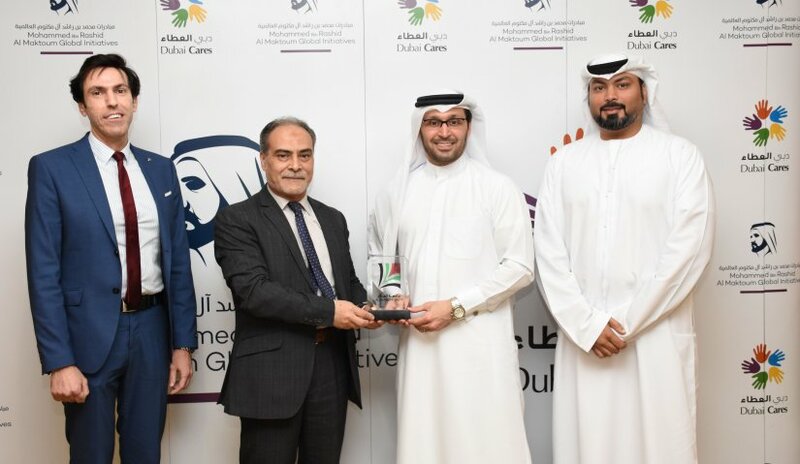 Tariq Al Gurg, Dubai Cares CEO, welcomed Prof. Belarbi and Dr. Samer Abdelhadi, Dean of Student Affairs. During the meeting, the role of Dubai Cares in the field of humanitarian work and the dissemination of education and knowledge in various developing countries was lauded. Prof. Belarbi, on the other hand, informed H.E. Al Gurg regarding Al Falah University’s numerous accomplishments, milestones and future plans. He also discussed AFU’s important role in disseminating knowledge, serving the local community and interacting through many initiatives in addition to voluntary lectures by faculty members that help raise awareness amongst societies and communities in the UAE. Towards the end of the meeting, the two sides stressed the need to strengthen relations, to exchange ideas and knowledge and to further engage with communities.